Gardenia (gar-DEN-ee-a) Linnaeus 1761 actinocarpa (ack-tin-OH-car-pa) Puttock 1988. This Genus was named after Dr A. Garden, an English physician and botanist (1730-91) who communicated with Linnaeus. actinocarpa= having rayed or star-like fruit; a reference to the calyx lobes that persist on the fruit. 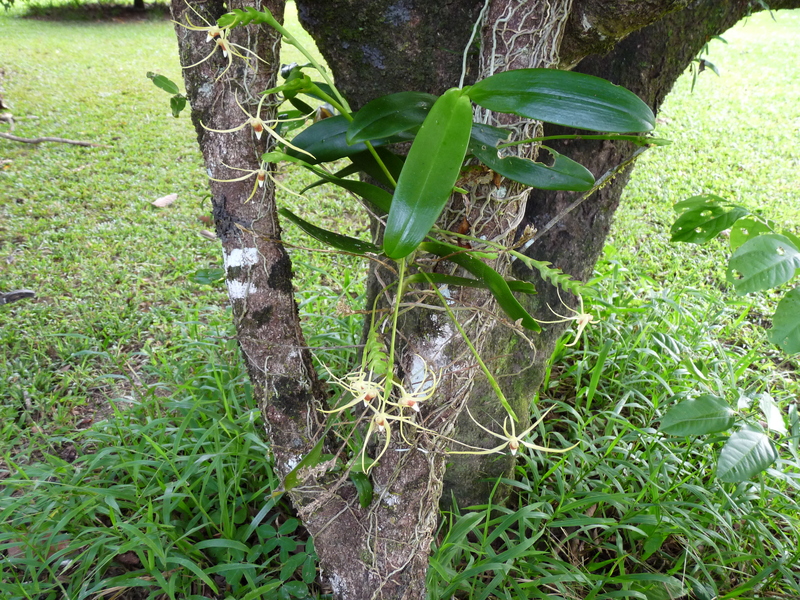 This attractive shrub, to 5 mts, is very much a plant of the Daintree Rainforest. It occurs along the coastal fringe between Cow Bay and Noah Beach just south of Cape Tribulation. 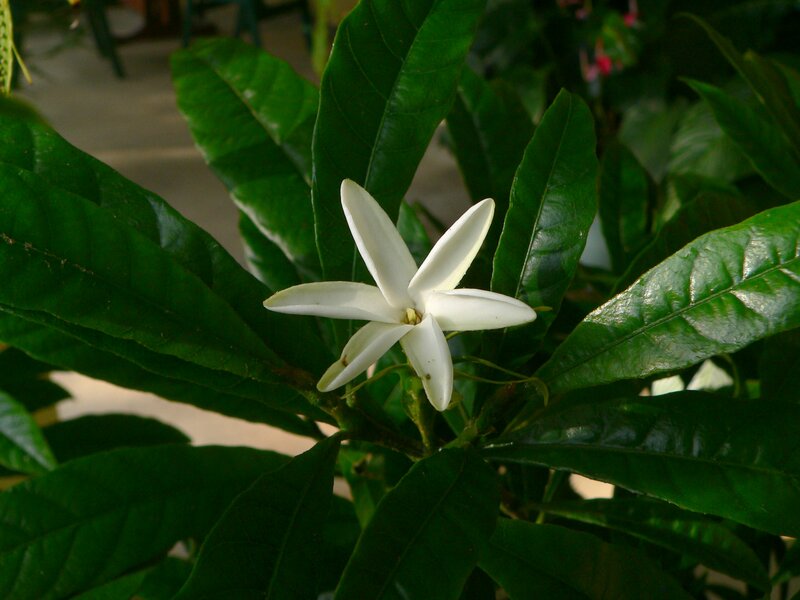 It would have to be regarded as one of the sweetest smelling of the Gardenias. When in flower the plants are easy to find, you literally just follow your nose. The flowers are male and female on separate plants. Because it takes quite a long time for the fruit to fully develop they will often have both flowers and developing fruit on them at the same time. The trees are well shaped and lend themselves to fitting in well as a garden specimen or tub plant. We have two happily growing on our front veranda in large tubs. Fortunately they are a male and female so consequently we have had several fruit forming even though they are relatively young plants. The snowy-white flowers are very typical Gardenia-like flowers. 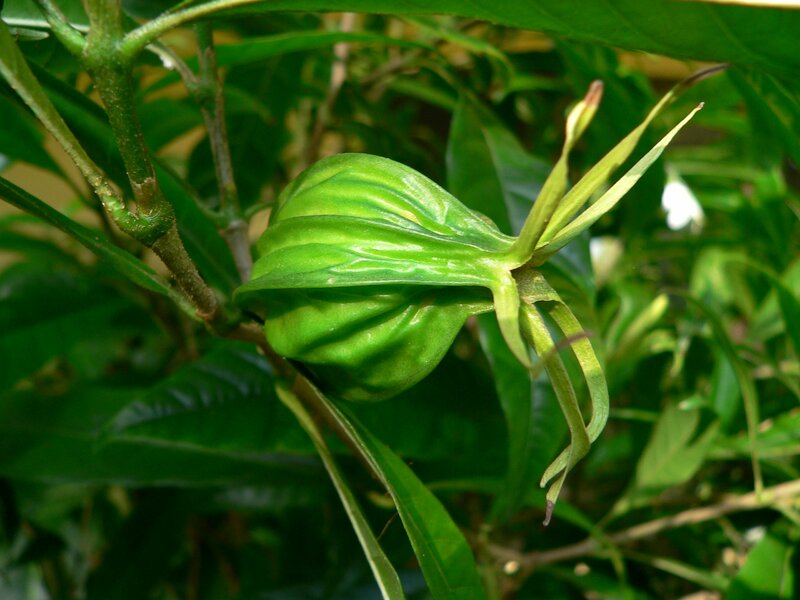 They have six petals and six narrow calyx lobes that persist on the forming fruit. The fruits contain a number of cream to brown seeds, 4-6 mm long, that are relatively easy to germinate. 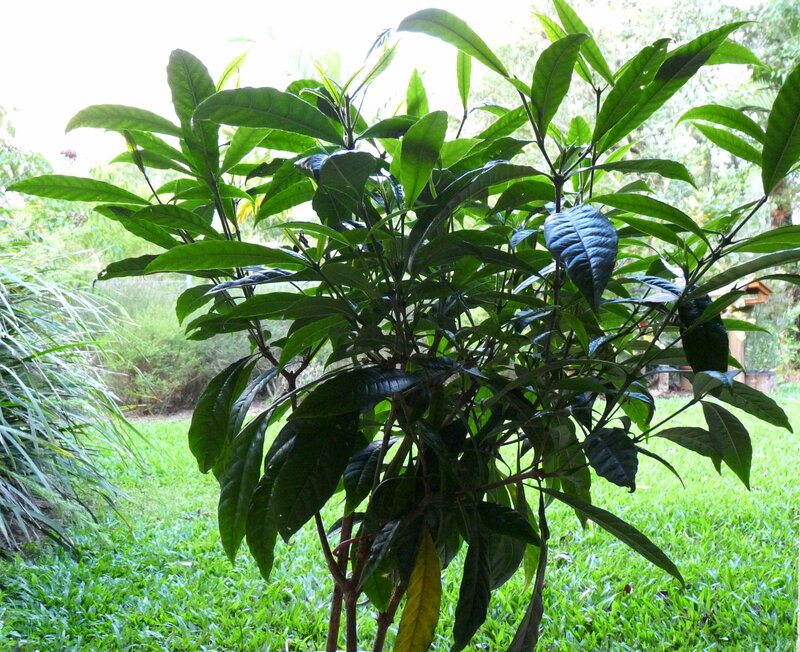 This is a recently discovered plant that grows in a limited area and is yet to reach its full potential in gardens throughout the tropics. 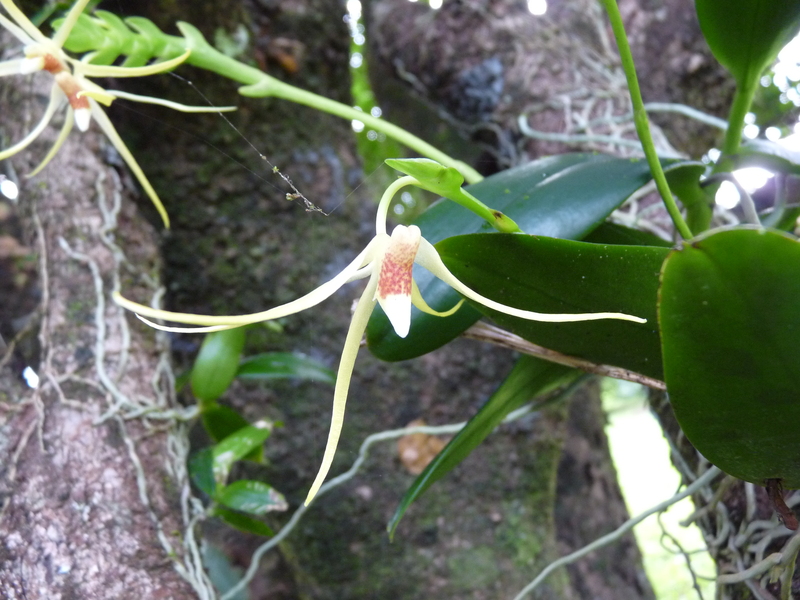 AND…… In a recent post I featured this remarkable orchid the flower of which I have been trying to photograph. The one I posted was taken during wet weather and was not at its best. I was therefore delighted to see fresh buds poking their heads out a couple of days ago and have been vigilantly waiting for them to develop. This morning that wait was realised with the plant featured having a dozen or so blooms showing. The flowers are much more spectacular than I had realised, looking very much like long-legged insects. I will see how long they last to confirm if the literature is correct that they only last the one day.